"Spider veins and varicose veins are natural side effects of a pregnancy – but the symptoms respond well to treatment"
Interview with Associate Professor Stefanie Reich-Schupke, specialist for skin and vascular medicine in Bochum. In the interview, she explains how women can keep their legs healthy during pregnancy. Dr Reich-Schupke, a pregnancy is a special challenge for the body. What problems may occur in the legs? "The hormonal changes lead, in turn, to changes in the skin and vessels. The blood vessels dilate, the volume of blood in the body increases, the tissues grow overall softer and develop a tendency to accumulate fluid. So swelling can develop in the feet, legs or hands as well as a feeling of restlessness in the legs or spider veins. The risk of blood clots (thromboses) in the veins of the pelvis and legs increases, particularly towards the end of the pregnancy. A superficial thrombosis usually presents as a painful red stripe that marks the course of the vein. Deep venous thrombosis in a leg or in the pelvis is characterised by pain, a feeling of tension and pronounced swelling and discolouration of the affected leg. In both cases, a prompt ultrasound examination and immediate therapeutic measures are important. Otherwise dangerous situations may arise, such as a blood clot (embolism) being swept away into other parts of the body." How can women care for their skin and assist their venous system? ''Skin care can be continued as usual and only rarely needs to be adapted, for instance if acne-like symptoms develop. Most pregnant women are very happy with their skin and hair, which grows and shines under the influence of the hormones. Whether and to what extent a women develops stretch marks, depends on her hereditary predisposition and weight gain – cosmetic products hardly have any influence on this at all. Changes in the venous system and the development of spider veins or varicose veins are natural side effects of a pregnancy, but the symptoms respond well to treatment". Regular physical exercise: walking or swimming boost the work of the muscle pump in the legs and relieve stress on the veins. This effect is even stronger in water. Cold showers for the legs: the cold stimuli cause the vessels to contract and less blood pools in the legs. Wear medical compression garments: these are suitable for women, who already had varicose veins before the pregnancy, who develop them during the pregnancy or who have pronounced oedema (accumulation of fluid in the tissues). 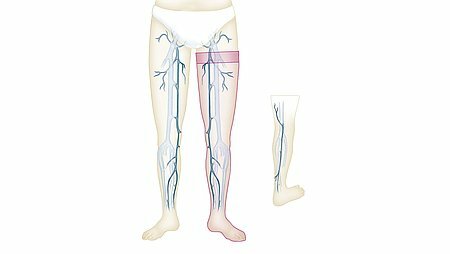 Although compression garments cannot prevent the onset of spider veins or varicose veins, they do boost venous return from the legs and thus reduce swelling, pain and the risk of thrombosis. I recommend a personal consultation with a doctor and pregnant women will also find useful information at a medical retailer. Up to which week of pregnancy is air travel allowed? "If the mother-to-be is healthy and there is no special risk for the unborn child, she can take almost all the flights she wants to. But the risk of a thrombosis rises considerably on long flights and as the abdominal girth grows. If there are any additional risks, for example, the danger of placental abruption [when the placenta peels away from the inner wall of the uterus before delivery], she should reconsider taking the flight or it must be refused on medical grounds. The pregnant woman should consult her gynaecologist beforehand. The general terms and conditions of airline companies usually specify up to which week of pregnancy and under what circumstances pregnant women may still join the flight. Some countries also have rules governing pregnant women and immigration." Dr Reich-Schupke, many thanks for the interview. 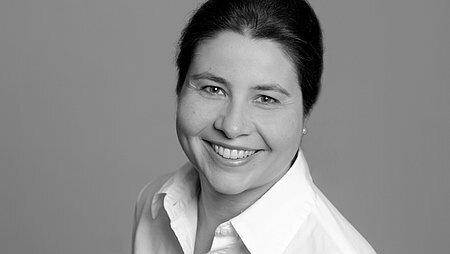 Associate Professor Stefanie Reich-Schupke MD treats skin and vascular diseases at the dermatology practice am Stadtpark in Bochum (www.haut.nrw). She was senior consultant at the Vein Centre at the Ruhr University in Bochum, then senior consultant at the Artemed Specialist Clinic in Bad Oeynhausen. She has been specialising in the treatment of venous diseases as well as lymph- and lipoedema for many years. Click here for more information about skin care products from medi.